Whilst we’re so aware of what we ingest into our bodies these days, being clean, green, non-toxic, organic, vegan, biodynamic, all-natural etc, it’s now come to our attention that what we spray on our bodies also has a direct effect too. Meet Skylar Isle. With notes of a subtle citrus and spiced sandalwood scent that’s reminiscent of a clean and fresh summer’s day on the Amalfi Coast, Skylar’s latest summer perfume has me hooked, and I bet you will be too! Founded by Cat Chen who became a lot more aware of everything that she was placing in and on her body. The perfume was no exception, especially since it stayed on the skin, all day long. Which is why Cat wanted to find a fragrance that didn’t contain any allergens nor harmful chemicals, but one that also smelt fresh and sophisticated. That’s when Skylar was born. Cat soon realized that many of her friends were also searching for the same thing. 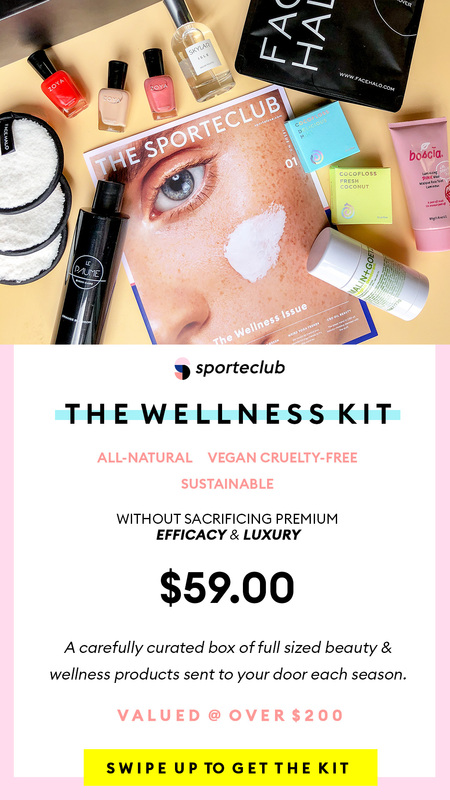 Buy Skylar’s newest summer fragrance (it’s in my Wellness Kit) for only $59 HERE! After many months of Cat working with world-class perfumers and testing their products in real life, Cat created a stunning collection of natural perfumes that were inspired by the qualities of a clear day—airy, natural and beautiful. Skylar is now known for their strict standards with formulating their perfumes. They purposely choose to avoid the “dirty ingredients” in the beauty industry which is why you’ll never find those suspicious ingredients in any of their 6-free scents. All their perfumes are made from a base of organic sugar cane alcohol, distilled water, and natural ingredients. They contain no parabens, allergens, or phthalates and are also cruelty-free and vegan. But do they smell good? Their latest summer fragrance actually has us hooked. Inspired by the purity of water and the ease of a day spent near the Amalfi Coast, the Isle fragrance is clean, fresh, and renewing, and we can’t get enough of it. Spiked with a subtle citrus and spiced sandalwood scent that’s lasting yet understated, you’ll be elevated with each wear, and I can see why! So you want to try it for yourself? Well, Skylar’s newest addition ‘Isle’ retails for $78 for 50mls, but Sporteluxe and I have teamed up with Skylar to offer their Isle summer perfume in our my Wellness Kit for only $59— that’s surrounded by other wellness goodies of non-toxic nail polishes, an eco-friendly bikini wash, sustainable face cloths, preservative-free pink clay facial mask, natural coconut teeth floss and a natural deodorant. Totally worth it right?